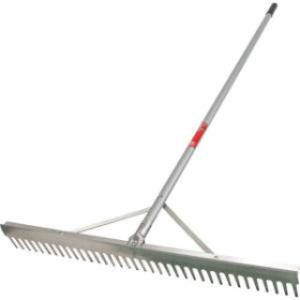 This landscaper's rake is perfect for commercial landscaping projects, smoothing and grading loose soils, gravel, and other materials. It is lightweight, made of aluminum, and has a 36" wide head. * Please call us for any questions on our landscaper s rake rentals in Hillsdale and Ridgewood NJ.